Are You Ready To Build a Home Healthcare Business You Can Feel Great About? BrightStar Care provides clients skilled as well as non-skilled in-home care designed to improve their health and quality of life and ease the caregiving burden on their loved ones. Our franchisees earn accreditation from The Joint Commission, a nationally recognized healthcare standards organization that accredits renowned facilities like the Mayo Clinic. The Joint Commission has named BrightStar Care an “Enterprise Champion for Quality” for five consecutive years thanks to the systems and training we have in place to help senior care franchisees and the staff deliver the highest standard of care. Why The Senior Care / Home Health Care Industry? FIVE Multiple Revenue Streams / Not Limited to Companion and Personal Care – Senior care (non-medical & medical), private pay home health care, National Accounts and medical staffing. ** Total National Account Revenues includes Revenue from all franchised agencies in operation as of December 31, 2017. Revenue reflects the 2017 fiscal year. Uncapped revenue potential – Robust franchise system allows franchisees to capitalize on multiple services and revenue streams. National Accounts – BrightStar has established large national and regional accounts that our franchisees can benefit from. These national accounts relationships provide additional revenue opportunities for franchisees that are participating in the program. Joint Commission Accreditation – Our franchisees obtain J.C. Accreditation, which is considered the highest standard for health care organizations, and earned by many hospitals, doctors’ offices and nursing homes. This dedication to high standards sets us apart from our competition and provides peace of mind for our clients knowing that their loved ones are being cared for by a professional organization. Even though this information is historical and based on actual information, the Federal Trade Commission requires us to include the following statement: “These figures are estimates only. If you rely on these figures, there is no assurance you will have the same experience. You must accept the risk of not generating these same results.” This information is published in the Item 19 of our 2018 Franchise Disclosure Document, along with additional information regarding franchisee average revenues, gross margins, and break even. Proven System – BrightStar has a robust business model and tools to help our owners grow their businesses. Exclusive Web-based Software & Business Solution – BrightStar has developed a fully-integrated, proprietary business software designed specifically for the BrightStar franchise model. Financial Assistance – BrightStar has partnered with financing companies to pre-package SBA loans that are specifically structured for this business model. No medical or health care background required! Over 70% of our owners have no healthcare background. We are looking for people who have strong leadership/ management/marketing/sales backgrounds. This business is about building relationships with referral sources and delivering excellent customer experiences. The total initial investment necessary to begin operation of a BrightStar Agency is from $94,618 to $153,263. *Initial Investment range as stated in the 2018 FDD. Speaker: The Franchise Research Institute was created to promote excellence in franchising. They have no affiliation with any franchise company, group or association. Jeff Johnson: Hi. Im Jeff Johnson. With over 25 years in franchising as a franchisee, area developer, and founder of the Franchise Research Institute, I know this for certain. Every high-quality franchise opportunity has one thing in common, high franchisee satisfaction. The institute listens to existing franchisees to identify and certify the very best franchise opportunities available. The more effective a franchisor is at sharing their expertise, the greater the chances are that individual franchisees will be successful. We were able to certify BrightStar Healthcare as a world-class franchise based on the ratings from their franchisees. Let me tell you why Im excited about their franchise opportunity. In July of 2009, we completed confidential surveys with nearly 90% of BrightStars franchisees. Here are just a few of the questions that we asked and how their franchisees responded. We asked, How would you rate the overall communication between home office personnel and franchisees? A 95% gave a positive response. We believe that quality communication is crucial in franchising and critical to the success of a franchisee. When we asked, My franchisor and I are committed to a positive, long-term relationship. They received an 89% positive response. Its great when a franchisee feels that both they and the franchisor are committed to a positive, long-term relationship. When we asked this, My franchisor encourages high standards of quality performance throughout the organization. They received a 95% positive response. High-quality franchising requires high standards throughout the system. These standards start with top senior management. Now, I can go on and on. But we certified BrightStar Healthcare as a world-class franchise opportunity, not because we think they have a great franchise but because their franchisees have rated them highly in confidential surveys for three consecutive years. Our goal is to help make your franchise experience enjoyable and profitable. Thank you. 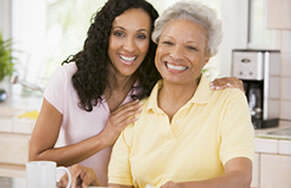 BrightStar Care is currently accepting inquiries from the following states: Alabama, Alaska, Arizona, Arkansas, California, Connecticut, Delaware, Florida, Georgia, Idaho, Illinois, Indiana, Iowa, Kansas, Kentucky, Maine, Maryland, Massachusetts, Michigan, Minnesota, Mississippi, Missouri, Montana, Nebraska, Nevada, New Hampshire, New Jersey, New Mexico, North Dakota, Ohio, Oklahoma, Oregon, Pennsylvania, Rhode Island, South Carolina, South Dakota, Tennessee, Texas, Utah, Vermont, Virginia, Washington, Washington, D.C., West Virginia, Wisconsin, Wyoming.